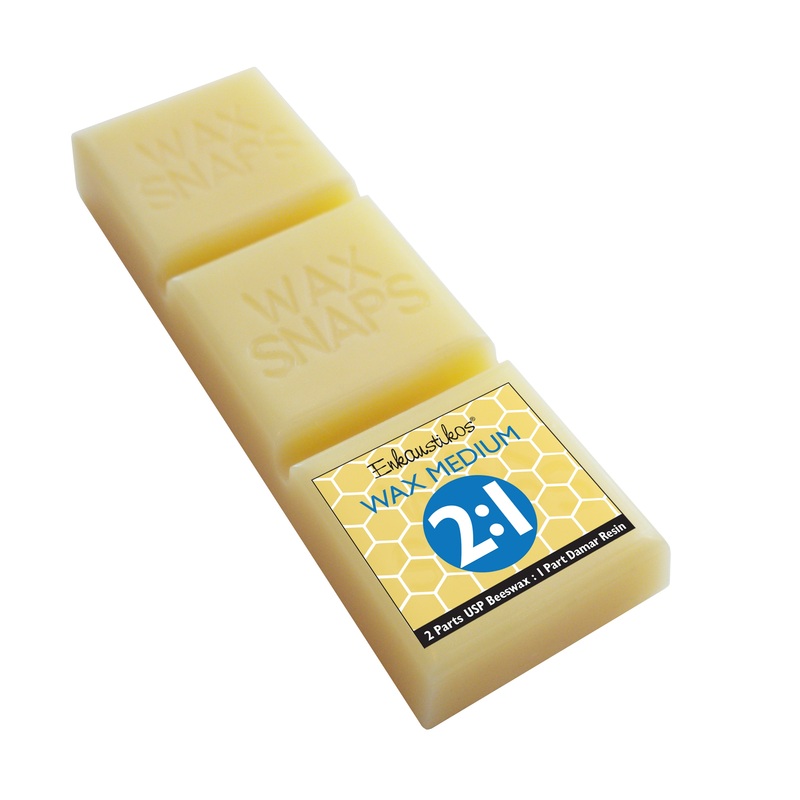 Enkaustikos Wax Medium is made from U.S. Pharmaceutical Grade Beeswax and Damar Resin. 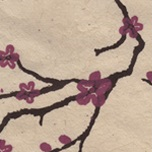 Wax Medium has many uses when it comes to encaustics. 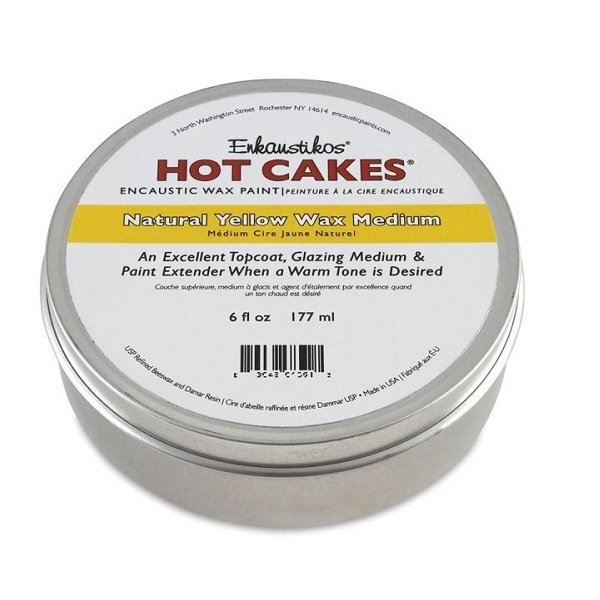 It can be used as a topcoat, a basecoat, or can even be added to your wax paints to increase transparency for glazing techniques. For those who like custom colors, wax medium is ideal for mixing with your own pigments. 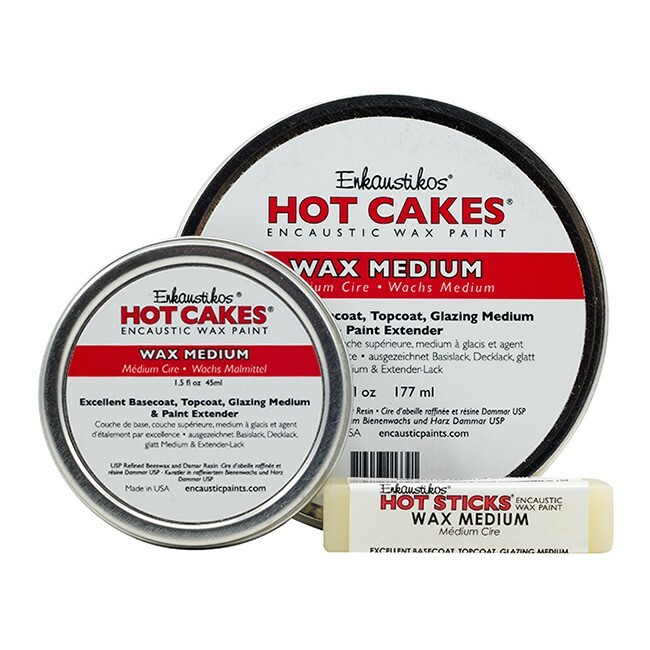 Since it is such a versatile medium, Enkaustikos manufactures two types: Enkaustikos Original Wax Medium and Enkaustikos XD Wax Medium which includes extra damar. 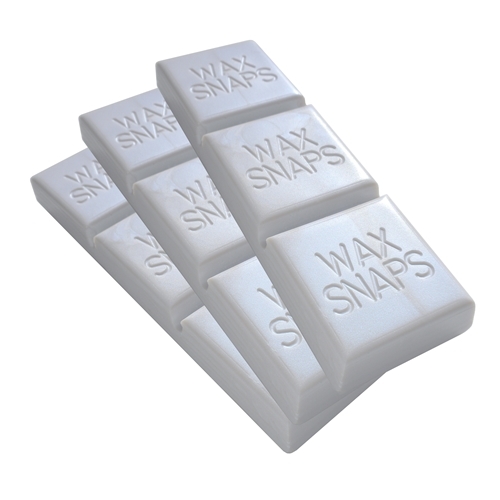 We also offer our wax mediums in a variety of sizes from Hot Cakes tins to Hot Sticks to even sundries packaging. One way to use wax medium is by applying it as a top coat and fortunately, wax medium will give an ethereal effect without obscuring artwork underneath. On each sample there are two layers of medium. It is easy to see the effects that any of the wax mediums impart. 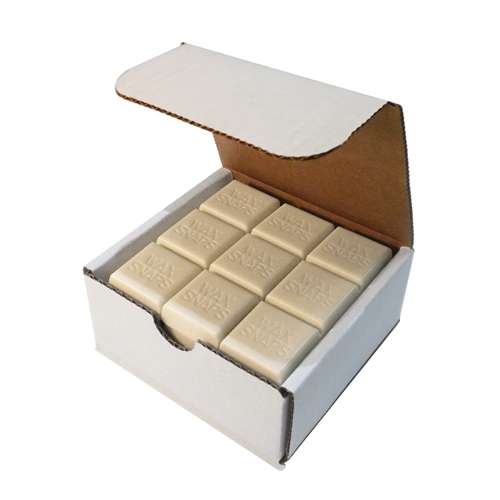 Each has a slightly unique appeal and it is quickly evident what the Natural Yellow Wax Medium offers. 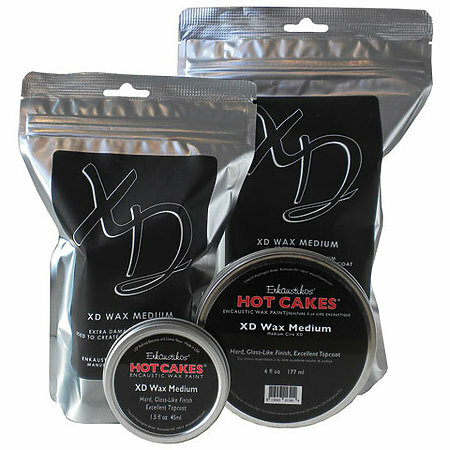 Perhaps, it is a little more difficult to distinguish between our original Wax Medium and the XD on your screen. The XD is more transparent, shinier and harder due to the higher concentration of damar resin. * We would like to emphasize that Enkaustikos wax paints and mediums are made with damar resin and not damar varnish. Many encaustic recipes incorrectly suggest that an artist should use damar varnish. This is not a good idea because damar varnish is made with turpentine which is not only flammable but also gives off unhealthy fumes. Enkaustikos heat filters out the impurities from the damar crystals without the use of solvents. Unlike damar varnish, Enkaustikos Damar Resin is a safe product to work with.